Everyone who knows the Harry Potter series knows the Sorting Ceremony, where first year students are sorted into their school houses by the Sorting Hat, an ancient and powerful magical artifact. When placed on your head, it reads your mind and decides which of the four houses you would best belong to. There are numerous ‘sorting hat’ widgets online that tend to ask you a few questions and then assign you a house, but can this be turned into a viable typology for recruitment profiling? Let’s find out! 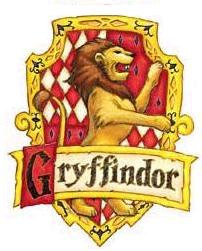 The Sorting Hat tells us that Gyffindors are brave and willing to take risks, bending the letter of the law but never the spirit. Gyffindors are quick to seek out opportunities and have the nerve to take a risk, because often it will pay off. Even when threatened with danger they keep a cool head and their eye on the prize, just as Harry did in his second year during a Quidditch match. Despite being chased by a rogue Bludger determined to kill him, Harry stays focused on the game, catches the Golden Snitch and wins the match, even though he breaks his arm in the process. Whilst bravery and daring-do are desirable traits in employees, those looking to hire Gryffindors must manage them effectively and curb their more risky endeavours, for your protection and theirs. After all, no matter how noble the intention, does it really make sense for your employees to wander willy-nilly into a metaphorical nest of giant man-eating spiders? Hufflepuffs are the worker-bees of any organization. They are not renowned for their intelligence, but they make up for this in hard work and loyalty, as well as strict adherence to the rules. Hufflepuffs take work seriously and invest time in socializing and making friends. Just like Gryffindors, they have a strong sense of justice – Cedric Diggory gives Harry a clue to solve one of the Triwizard Cup challenges, after Harry helped him out in an earlier round. Loyalty and hard work are desirable in any business, but an employer shouldn’t count on Hufflepuffs to be leading the way in bringing about innovation and change. Instead, let them do what they do best – put their heads down and get on with it. 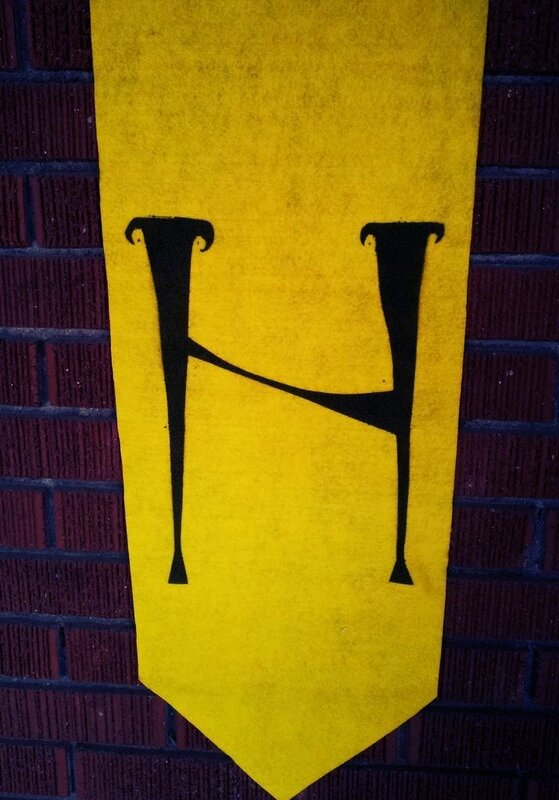 A word of warning: although Hufflepuffs are friendly, their loyalty is primarily to one another and this can cause them to close ranks, possibly even leading to labour disputes. Things got pretty ugly when the Hufflepuffs felt that Harry had stolen their moment of glory during the TriWizard Cup, after all. 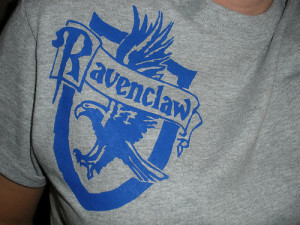 Ravenclaws are the thinkers, the dreamers, the geeks of any organization. Alone of all the Houses, their common room is not protected by a password, but rather by a Turing-style Test of intellectual questioning, which requires intellect, logic and lateral thinking to pass. If you get the answer wrong, you’re not allowed in until you get it right – how else do you learn? Ravenclaws pursue knowledge for the sake of knowledge and love to come up with new theories and ideas, although these may not always be practical. Intelligence and creative thinking are rightly valued in any organization, but the employer should be aware that the Ravenclaw does require careful management. They need the creative freedom to think and dream and assemble ideas in their heads, but they also need to be kept in the real world. Luna Lovegood has various theories about numerous undetectable magical creatures that can cause various ailments, but when she and her father went to Sweden to find the Crumple-Horned Snorcack, they came back empty-handed – a waste of productivity and organizational resources. You’ll make your real friends,/ Those cunning folks use any means/ To achieve their ends. Slytherins are a difficult lot. They aren’t stupid – far from it – nor are they cowardly, as popular thinking would suggest. They are instead careful; a Slytherin won’t get into a fight he doesn’t feel confident of winning. Slytherins take a more amoral approach to the world, acting in their own best interests and assuming that others will too. This may mean they won’t play according to the spirit of the game. In Harry’s second year, the Slytherin Quidditch team becomes highly successful after a generous ‘donation’ of seven Nimbus 2001 brooms, the fastest brooms in the world. Here, expenditure on technology compensates for lower talent. This shows a willingness to explore different approaches to achieve their goals, and the quality of their brooms certainly gives them a competitive advantage. Acting in self-interest can be a positive for a business, as long as the employee’s self-interest is matched to the business, which means the employer has to be careful to manage their motivation. Again, a note of caution – Slytherins will do almost anything to achieve their ends, and this includes backstabbing and trickery. Harry was almost tricked into detention after Draco Malfoy challenged him to a midnight dual, and then set him up to be caught. If you catch an employee in a compromising position and another employee is standing nearby smirking, you might have to ask a few questions. Obviously the above is a bit of fun, but it does highlight the risks of the use of personality profiling tools that are very common in the business environment today. Current thinking on personality and identity suggests that identity is multi-faceted, fragmented and entirely contextual: who we are depends on where we are, whom we are with and the situation we are in. Assuming, as Hogwarts does, that at the age of 11 (or 16, or 21, or 35) we can definitively chart someone’s identity and career for the rest of their lives is very dangerous. However, there are numerous tests and tools out there, such as the Morrisby Tests or the Myers-Brigg profiling tools, that assume just that. Lastly, we should consider Conformity Theory, which suggests that people tend to act how we expect them to act. 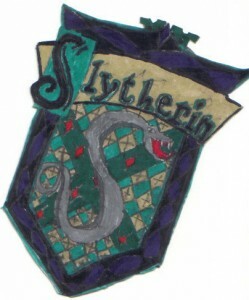 Maybe the Slytherins aren’t all evil, but because we expect them to be, that’s how they turn out. There’s an important lesson here: treat your employees with respect and assume that they will work hard, and they are more likely to do so. Thanks for reading, and I look forward to comments on any and all errors I have made in the Harry Potter mythology.